Leveraging the skills of our qualified team of professionals, we are instrumental in offering a wide range of Cotton Batting Roll. Shiva Cotton Product was established in the year 2000. 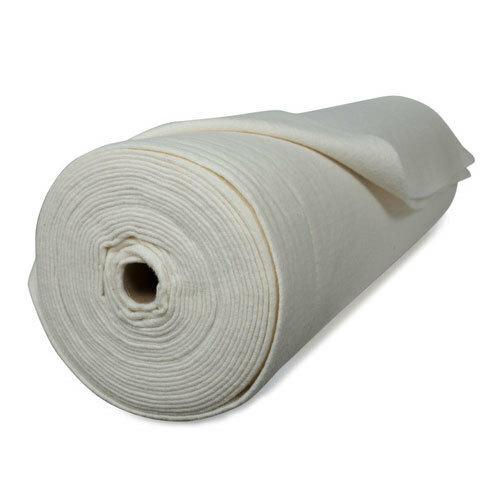 Shiva cotton Product is one of the leading manufactures of bleached, unbleached cotton wadding and cheese cloth products are designed to provide high quality at affordable prices. We serves customers in various industry sectors ranging from textile manufactures (garments) to appaels & home textile. we providing best auditing & we have 20 skilled labours. Being a client-centric organization, we are involved in providing utmost quality products to customers that satisfy their entire requirements and needs. To render complete satisfaction is our main objective. Providing quality products to clients is the main aim of our company.